Girl rides in car and waving her hand from window and catches beautiful glare of sun. Slow motion. 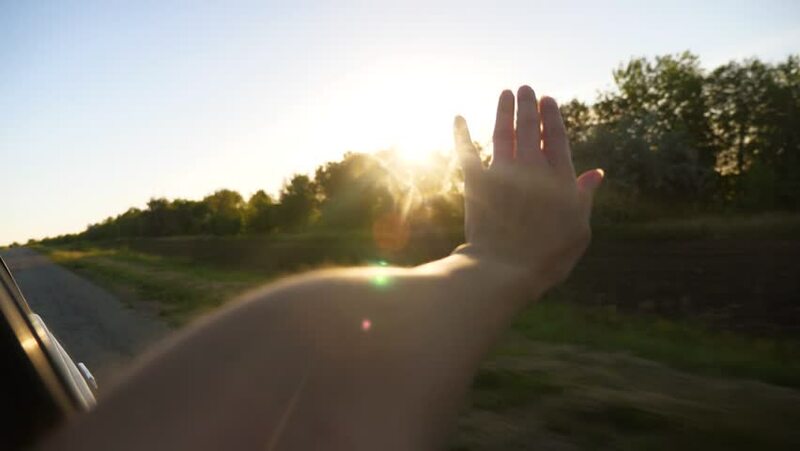 hd00:27Slow motion, close up silhouette of woman blocking bright sun light with palm of her hand outside. Buildings and trees in the background. hd00:19Girl shoots a video about nature in the journey. hd00:25A love story. A man and a woman beautiful couple near the water on the shore of the rivers. Love and kisses. hd00:07Fog over the road on which cars are passing. Sunrise.